Travel Hacking is the art of collecting miles and points to get free flights, hotels, and more. Visit my travel hacking blog RayTravelsFree.com and learn how you can travel for free. For a limited time, the American Express Starwood Preferred Guest (SPG) Credit Card is offering an incredible 20,000 Welcome Bonus Starpoints (normally 10,000)! That’s enough points for up to 5 Free Nights Hotel at a Category 2 property! Each SPG point is worth around 3.55 cents CAD (2.7 cents USD) so you’re getting tremendous value. I now use this card as my primary go to (daily use) card. I charge whatever I can to it because it gives me twice the value compared to my other credit cards. 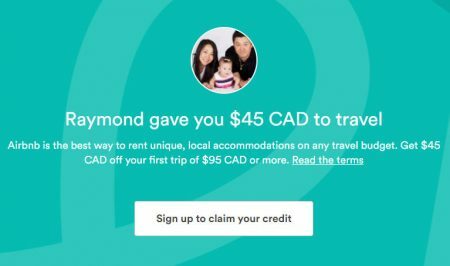 Plus, the card has a referral program – get 5,000 bonus Starpoints for each friend/family you refer to this card (earn up to 75,000 bonus points annually). To get the 20,000 welcome Starpoints, all you have to do is sign-up for the card and charge $1,500 in purchases to the card within the first three months of card membership. The card has a $120 annual fee, but even with that, this is one of the best travel cards to have because of the generous welcome bonus (worth over $850). If you don’t like the card, you can cancel the card at any time without penalty and keep your points. Referral Bonus: Refer a friend or family, and get 5,000 bonus points for each successful referral, up to 75,000 Starpoints per year. This is the best part of this card, since the card sells itself! Earnings: You can earn 2 Starpoints for every dollar of eligible purchases charged to the Card at participating SPG and Marriott Rewards hotels. 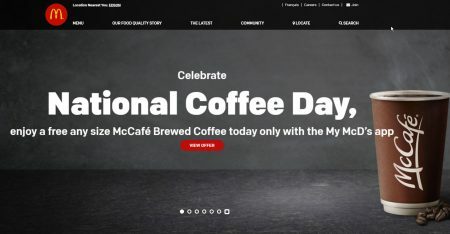 Earn 1 Starpoint for every $1 in all other purchases charged to the Card. You are getting over 3.5 cents return per dollar, higher than almost every other card out there! I won a SPG Moments’ auction and went to the NHL All-Star game! Because the card sells itself, I’ve been able to easily refer friends and family to also sign-up for the card and accumulate lots of bonus points (10K bonus points for each referral). 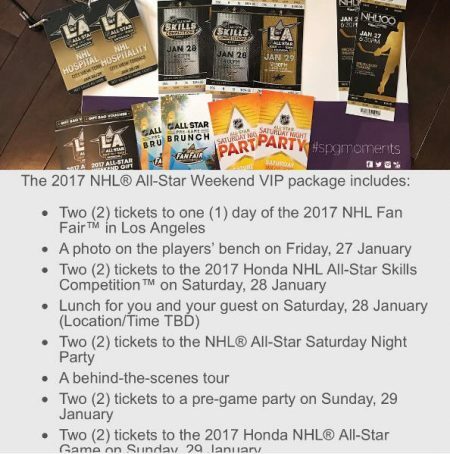 Last year, I used SPG Starpoints and won a couple SPG Moments auctions and got to go to the NHL All-Star Game in LA as well as NHL Awards in Vegas! It was truly an once-in-a-lifetime experience and I was only able to go because of SPG. Learn how you can travel for free by visiting my travel hacking site RayTravelsFree.com. A bunch of Canadian grocery stores are being investigated in a major bread price-fixing scheme. Loblaws discovered that Canadians were overcharged for the cost of some packaged bread products in their stores and other grocery stores across Canada. 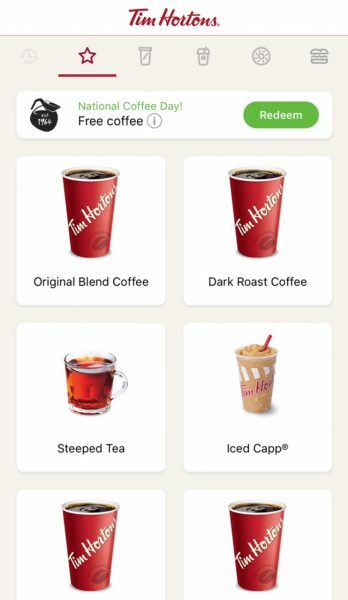 In response, they’re offering eligible customers a free $25 Loblaws Gift Card, which can be used to purchase items sold in our grocery stores across Canada (stores listed below). Registering for and obtaining the $25 Loblaw Card will not affect customers’ right to participate in any class action or to receive any incremental compensation that may be awarded by the court. 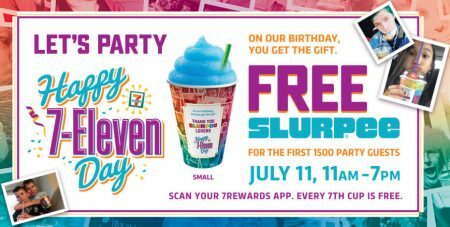 This means you should register everyone in your family who’s over the age of majority (18 or 19 years old) for a free $25 gift card for. Make sure you register by May 8, 2018 in order to be eligible. Shame on all the grocery stores for doing this for so long (14 years), but good on them for trying to make it right. AND: You are of the age of majority, which means 18 years or older if you live in: Alberta, Manitoba, Ontario, Prince Edward Island, Québec, or Saskatchewan. 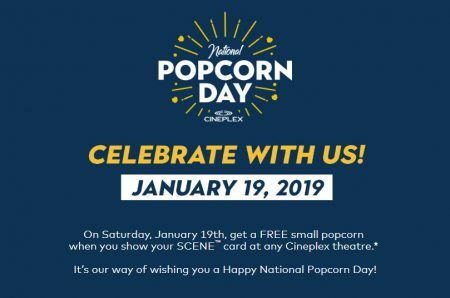 OR: 19 years or older if you live in: British Columbia, New Brunswick, Newfoundland and Labrador, Northwest Territories, Nova Scotia, Nunavut, or Yukon. To receive a card, complete and submit the registration form here. Registration forms must be submitted by May 8, 2018 in order to be eligible. Click here to register for Loblaws’ free $25 gift card or for more details. 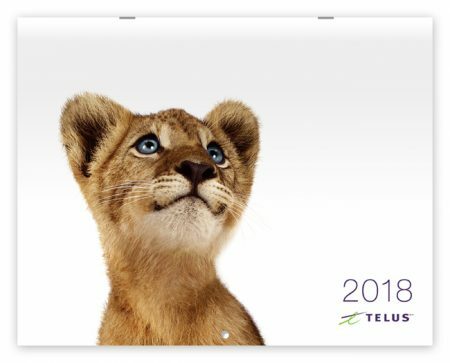 TELUS is giving away FREE 2018 Calender’s! You have to be a Telus customer or Telus team member to get the freebie. Simply go to Telus’s website and request a free calendar. Hurry, quantities are limited so don’t miss out! There’s a limit of one per customer. Once you fill out the short online form, they’ll mail you the calendar to your door in 4-6 weeks. 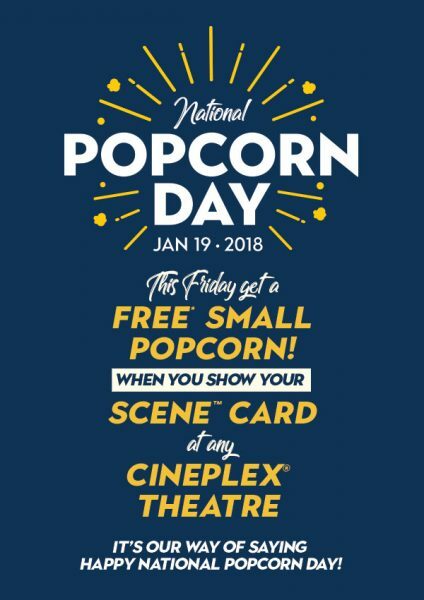 You have to be a Telus customer or Telus team member to get the freebie. If you’re not a TELUS customer or team member, you can download the 2018 digital wallpapers for free here. Click here to request a FREE 2018 Calendar from Telus. It’s New Years Eve! Don’t Drink and Drive! 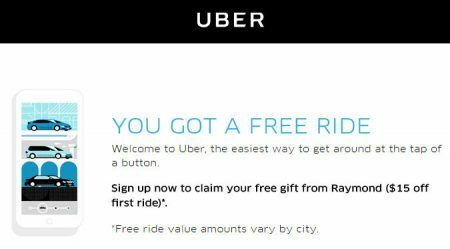 Get an UBER – FREE First Ride Promo Code! It’s the New Years Eve. If you’re going out tonight, PLEASE Don’t Drink and Drive! It’s not worth it. Be smart. Plan ahead. 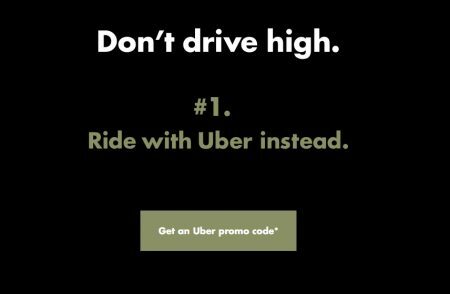 Find a designated driver, call someone, call a taxi – better yet, get an Uber and save! Uber is 30% cheaper than a traditional taxi ride. Uber is a low-cost ridesharing option that connects you with on-demand transportation in minutes. You can ride easy knowing that all driver-partners undergo a rigorous background check process and that all Uber rides are supported by safety innovations like the “Share My ETA” feature. I love Uber and use it all the time. I’ll be taking an Uber tonight. It’s NYE, it’s going to be busy tonight – be patient and wait to find an Uber if you don’t immediately get one. Uber will likely still be cheaper then a taxi even after surge pricing (high demand for rides). One Tap to Ride: Uber uses your phone’s GPS to detect your location and connects with the nearest available driver. Get picked up anywhere – usually within minutes.